This challenge was simply a size restriction. The quilt had to be bigger than a bread box, (defined as 16″ x 8″.) I’m on the road again, and sewing in a makeshift studio without my favorite machines. I started a quilt and like it enough that I didn’t want to rush the finish, especially in an imperfect sewing environment. So, I rushed out this 37″ x 37″ baby quilt. I pillow-cased the top and quilted it by hand-tying a few spots with thread. I’m pretty sure I’ll be machine quilting over this when I get home. In the meantime, I’m considering writing this up as a free pattern. If there is enough interest to make it worth the time, I’ll do so. 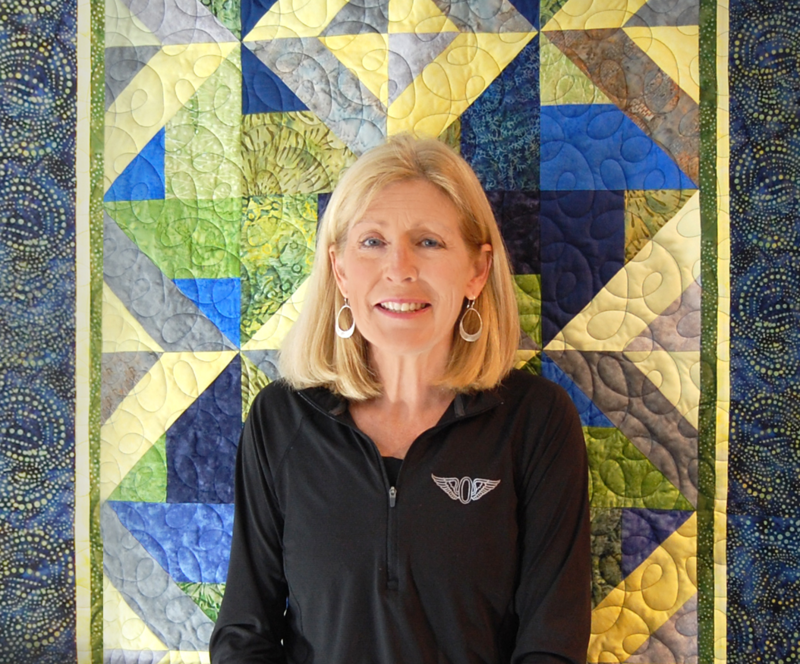 Watch the PQ website– quilt 99. If it gets 150 or more votes, I’ll be creating that free pattern. Alexander Pope’s complete statement in the Essay of Man was: “Hope springs eternal in the human breast.” While the season of spring is hopeful and holds many obvious symbols, I immediately went to a human context. The poem goes beyond this familiar start, and I believe the next line to be the most hopeful of sentiments: “I believe through any trial, there is always a way.” This was my inspiration. 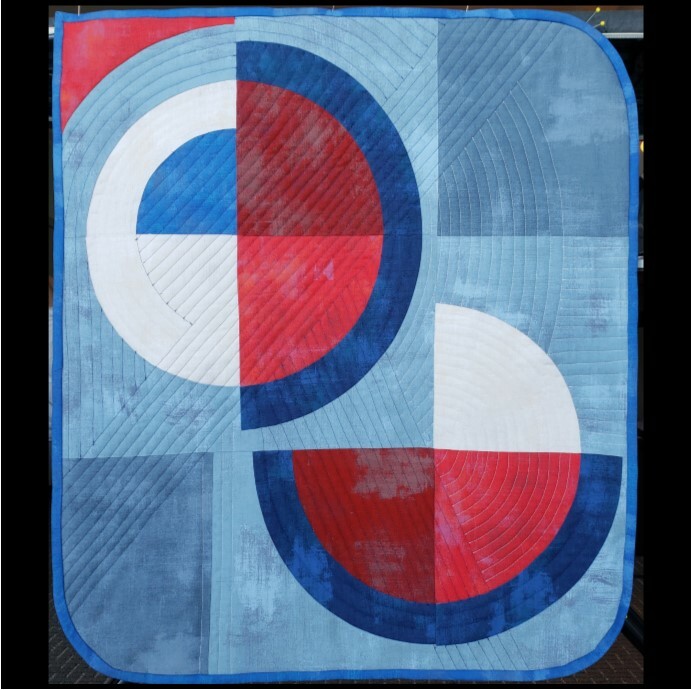 Lisa’s two-color quilt has been juried into Quiltcon Presented by The Modern Quilt Guild in Nashville in February, 2019. 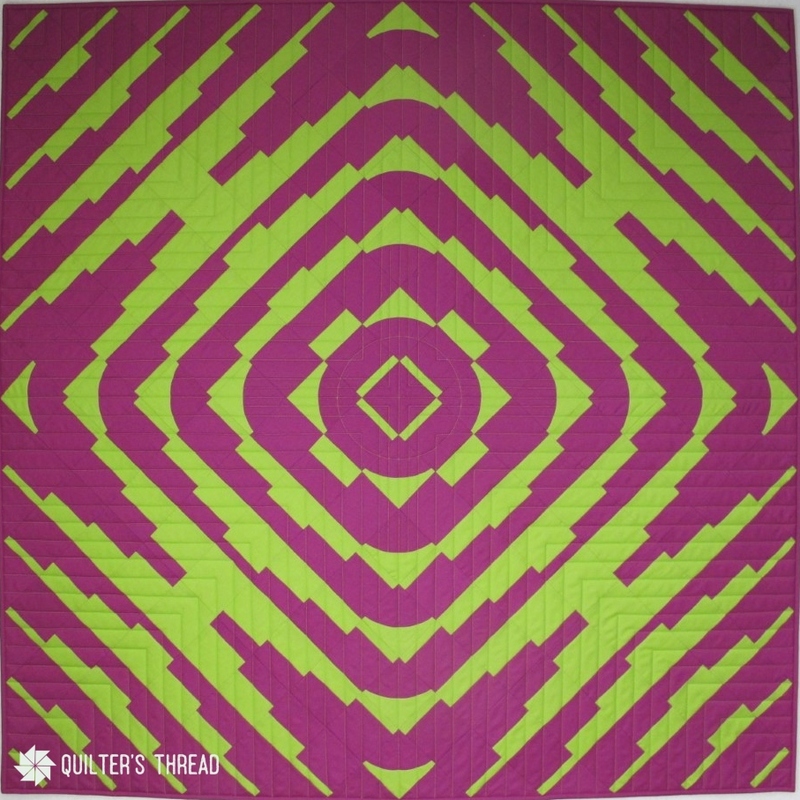 Gradation of line in this quilt creates pleasure for the eye. The strong contrast between the jewel and moss tones provides eye movement that implies curves, though you know the lines are straight. 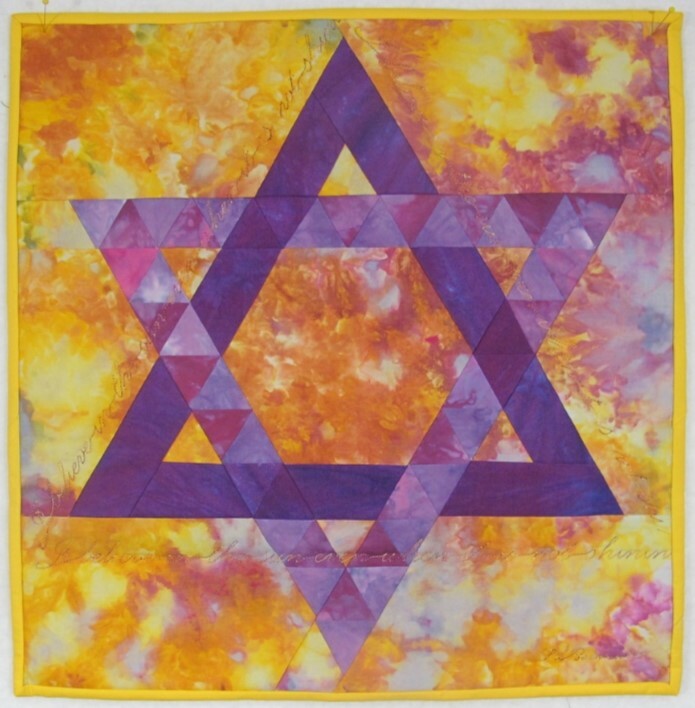 Side to side gradation, combined with the center to corner gradation create a medallion quilt that mimics Hawaiian applique. Lisa chose to quilt mostly straight lines so the quilting wouldn’t compete visually and the pieced lines remain the main course for your eye. 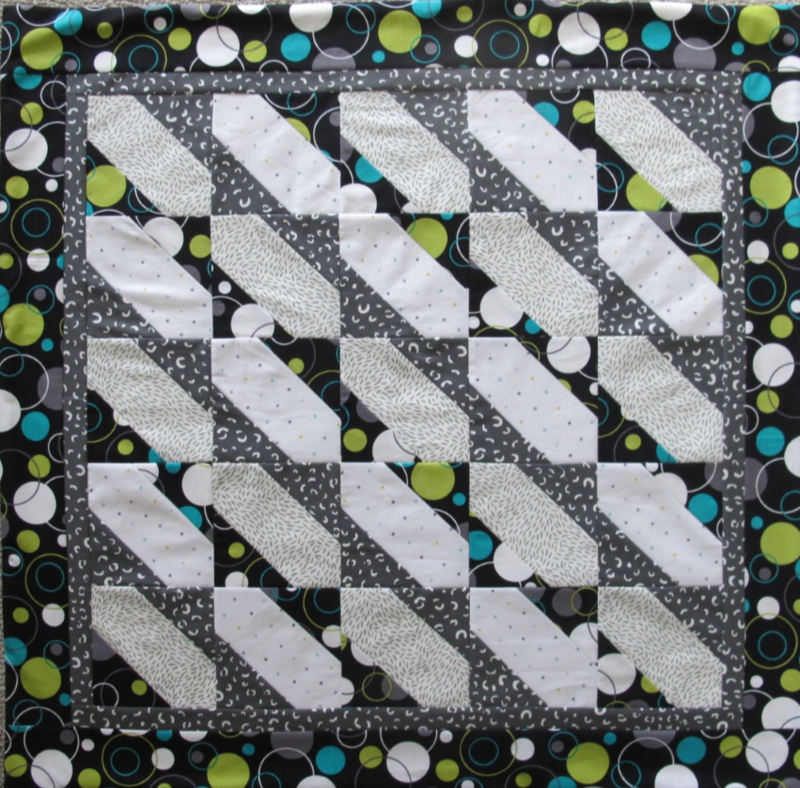 Squinting your eyes at this quilt is fun, too….